4S - Zone: Smokin Sound Systems Section!! What's everyone listening to these days? Are you a Mustang Enthusiast?!?!?! If this is your first visit, be sure to check out the FAQ by clicking the link above. You will have to register before you can post: click the register link above to proceed. To start viewing messages, select the forum that you want to visit from the selection below. Join....SmokinStangs.com today! Thread: What's everyone listening to these days? This is the best version of Ice Ice baby I have ever heard!! Done by Marty Ray of "The Marty Ray Project!" 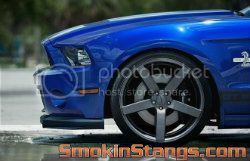 SmokinStangs.com......A Premiere Mustang Enthusiast Community-Based Forum. "Bringing Mustang Enthusiasts together like never seen before!" That was pretty cool and a great cover ! "Wish they all could be California Girls"
NEW to SMOKINSTANGS Mustang Forum? Smokin Members "BUILDS & RIDES"...aka: Digital Storybooks!! Smokin Subarus, Mitsus, Nissans, etc.